Sleep Music And Sleep Meditation Offer An Incredibly Easy Way To Get The Deep Sleep You Crave. If You Have Been Struggling To Get To Sleep Easily, Or Just Need To Get Deeper Better Quality Sleep, Then Along With Having A Good Bed To Sleep On, Getting A Relaxed Mind At Bedtime Is The Key You Need. Sleep music offers an amazing way to relax your mind, into deep sleep, on total autopilot. Sleep meditation, often using deep relaxation music in the background, requires a little more focus. It does however help you, get into an amazingly deep sleep, even when feeling stressed. Having the right bed, the right mattress especially, is critical to getting the sleep you need at night. Having your mind in the right zone for sleep, being well relaxed and at ease is also vitally important though. When you create a great environment for sleeping, through using a properly supportive, comfortable bed, along with the other sensory conditions that induce quality sleep. Then you are set for getting the rest and restoration you need with ease. Relaxation is the key to good deep sleep. Counting Sheep is here to help you get that properly deep relaxation. Knowing that relaxation is the key to the sleep you need, gets you halfway to being able to sleep properly every night. Knowing that sleep music and sleep meditation help you to get that deep relaxation before sleep, or after you have turned the lights off and settled in bed for the night. Gives you the ability, to actually do something to ensure you get that much needed deep sleep. Even if you suffer from insomnia. Calming music, and relaxing bedtime meditation, soothe your mind. And your body. Into a state where you can sleep with ease. So realistically you are learning how to get to sleep fast, and how to get deep sleep with ease. At the same time. And this is so much more than learning. There are amazing resources you can get which make deep sleep easy for you to enjoy. Every night. It is really worth your time getting the deep sleep tips and advice below. Getting a really good relaxing sleep is far easier than you may think. As long as you follow these tips, and allow the relaxing sleep music, or wonderful deep sleep meditation, to carry you off. Into that blissful sleep that you want so much. Relaxing sleep music is the first simple step to bringing yourself into a beautiful relaxing state of peaceful calm. There is actually very little for you to do. Just lie back. Slide into the deep comfort of your bed. Allow your head to rest deeply on your pillow. Letting the peaceful, soothing music to just flow in through your ears. And the calm melodies and relaxing music to carry you into deep relaxation. Into sleep. Do know, sleep music has been clinically shown to help improve sleep quality for people with insomnia. Of course, getting the right sleep music is the key thing. With a huge variety of tracks, and types of sleep music available, knowing what is going to generate the best effect is very important. After all, you do want the best, deepest, sleep, that you can get. Right? While some people opt for soft piano music, the sound of piano keys can be far from relaxing to others. Equally well, what some people think of as relaxing celtic music, can be far from restful for others. There are certain music types which bring relaxation to everyone though. The type of relaxation that takes over, and you slip into deep calm. Deep relaxation. Without even thinking, or even realizing, that time has passed. It is like you have just suddenly dropped down, into that blissful state of peaceful calm. That is the type of relaxing music you really want to use at bedtime. It is easy to get too. You have various states that your brain works in. Each state has a certain range of brainwave frequencies that go with it. In really deep sleep your brain is in the delta brainwave range. So having relaxing sleep music with delta brainwave frequencies in, does a huge amount to help you get into a deeply calm state. To get you into that peaceful deep sleep that feels so good. There are three types of sounds used for brainwave entrainment. They are binaural beats, isochronic tones and monaural beats. Each of them have their advantages, and situations in which they are most useful. Binaural beats are the most commonly known. However, binaural beats are only really useful in the upper brainwave states of gamma and beta. Neither of which are relaxing, and both of which can feel very stressful. Plus you have to wear headphones if you are to get any effect from them. Isochronic tones are incredibly useful as their effects can be enjoyed through either speakers or headphones. Something which is very useful if you are going to sleep. Being able to use speakers saves you from getting wrapped up in wires! Isochronic tones are best in the alpha, mildly relaxing, and theta, deeply relaxing, states. Monaural beats however are best for the delta brainwave range. Monaural beats as with isochronic tones can be enjoyed fully through either speakers, or headphones. Giving you flexibility and choice. So at home you can enjoy sleep music that uses them through speakers. Then while traveling, especially when flying, you can get great effect from them through your headphones. When you have good sleep music that uses delta brainwave frequencies, driven by monaural beats, you will be amazed how easily, and how deeply you can get to sleep. This combination truly brings an amazingly peaceful sleep induction. That will have you fall asleep so fast. You can find a highly recommended source for relaxing sleep music below. You can also carry on through. And discover another amazing way to get an amazing night of peaceful deep sleep, with amazing ease. Meditation as you have likely heard is a great way to relax. When you can focus your mind properly on relaxing that is. That is why guided meditations have become so popular. They make it easy for anyone to enjoy a really deep and peaceful meditation. Meditation just before bed is a really good thing to do. Many meditation teachers recommend doing meditations first thing in the morning, just after you wake up. When you are still in that blissful, hazy state of calm. Plus last thing at night either before, or when you go to bed. By enjoying a really peaceful meditation just before you go to sleep, you can release all the tension and stress that you had from your day. So your mind is clear and at ease. Ideal for getting quality sleep. That is where sleep meditation comes in. It is a meditation that is optimized, to help you get the quality deep sleep your mind and body need each night. Sleep meditation is a really good way to improve sleep quality. Notably your mind becomes far less active when you’re asleep. Your mind actually becomes calm. So sleep problems can become a thing of the past. Insomnia as with many sleep problems, is stress related. The more stress you have, the harder your mind finds it to relax. Because of this, being able to fall asleep, and stay asleep too, becomes an issue. Hence sleep problems and sleepless nights. But it is so easy to relax your mind properly, and get into a peaceful stress free state that lets you fall asleep easily. Guided sleep meditation is what makes it easy for you to fall asleep. Properly. Your mind. Totally relaxed. And, all your muscles. Totally relaxed too. Your whole body, calm, at ease. As you slip into a deep, deep sleep. Just drift with total ease. Feeling calm, and peaceful. Into sleep. That is what a good guided sleep meditation helps you to enjoy. And all you do is press play. Listen. Follow the voice. And fall asleep with it. So easy. Of course, just a voice on its own would be unusual. Most guided sleep meditations come with a background of beautiful relaxing music. Basically because that music drifting along in the background, just helps you to relax into sleep even more. This is something that can make sleep meditation even more powerful than pure sleep music. With a good guided sleep meditation you are mixing the guidance of a meditation master, with the power of relaxing music. Getting a synergy from the two things. Making the result even more powerful. Basically, it helps you to relax and fall asleep much more effectively. Which has got to be a good thing for you. As mentioned earlier on in the sleep music tips on what to get to help you get deeper sleep. Delta wave music will help you get your brainwaves into that really peaceful delta brainwave state. Delta is the deepest state your mind can go into. With deep dreamless sleep being what you get there. Delta brainwaves can be difficult to access for a lot of people. Unless they do meditation on a regular basis. Why? Most people have little practice with getting their brain to become truly calm. So having someone to guide you in a peaceful way, into deep relaxation. While at the same time you are also listening to music, running in the background of the meditation. Which has been specifically created and optimized, to help you to gently slide, with even more ease, down into that beautiful relaxing sleep you desire. Wow, what a combination that is. This is what your mind really needs if you have sleep problems. Even if you are finding deep sleep a challenge, because you are generally a light sleeper. This combination of a guided sleep meditation, with delta wave brainwave entrainment flowing through the carefully matched background sleeping music. As an added benefit, delta wave sleep is incredibly beneficial to your health from a healing point. While you sleep your body does most of its healing and restoration. Bodily tissues are replaced, and any injuries get more focus healing-wise from the body. In delta wave sleep these effects, have been noted to the greatest degree. So helping yourself to get into delta wave sleep on a regular basis, does have good health benefits. Plus, when you are going into the delta brainwave state on a regular basis you are going to be enjoying plenty of stress release. To get into the delta wave state you have to let go of stress. And stress happens to be a major factor in most sleep problems. When you are regularly releasing stress. Which both the sleep meditation, and background delta wave music will help you with. Your life is going to feel much sweeter too. Just feel it now. That sense of letting go of the stress in your life. These are just some of the advantages to using a guided meditation for sleep. Especially one with good delta wave sleep music flowing along gently in the background. If you want to know more about the benefits of meditation, and brainwave entrainment. Please to go to SurgingLife, as they have some great resources and information that can help you. For now you will likely wish to know the recommended sleep meditation so you can start enjoying deep sleep tonight! To help you get really good quality, deep sleep, there are a couple of resources that are recommended. Alongside having a really comfortable bed to sleep in of course! Both these resources have been created by Stephen Frost the founder of SurgingLife. SurgingLife is a brand that shares a huge amount of information that helps with wellness. They also have a stack of great resources to help people get the best of their life, and their health. So their sleep music, relaxation music, guided meditations and everything else have been very carefully crafted to get you great results. In this case, really good peaceful sleep. The “Peaceful Sleep Induction” from SurgingLife was specially designed to help you fall asleep fast. And then take you down into deep sleep quickly too. With the peaceful rhythms flowing along, and the delta wave music too. Your mind just gently slips away into sleep in a really beautiful way. Experience it and you will feel how wonderful it truly is. Relaxing Sleep Music From SurgingLife Sample﻿ Get the peaceful sleep music from SurgingLife. To help you go even deeper, and help you to release stress and enjoy a really amazing night’s sleep. The delta wave guided sleep meditation from SurgingLife, guided by Stephen Frost, with a background of very peaceful relaxing sleep music. All put together in a way that has that has you fall asleep, fast and deep into that relaxing deep sleep that does you so much good. 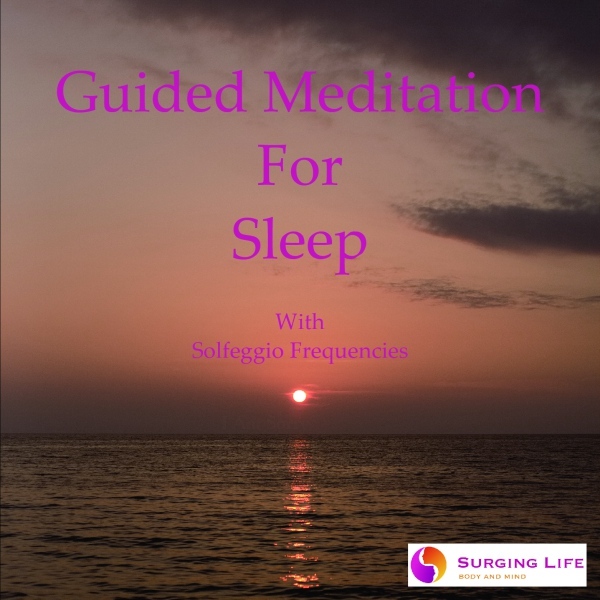 Get the delta wave guided sleep meditation from SurgingLife. There are some things you can do to ensure the best results from both your sleep music, and your peaceful sleep meditation. First up, absolutely has to be have a really good quality mattress. One which is both properly supportive, and comfortable. This is going to help you to relax both your body and your mind in a really important way. Plus the sleep you will get will be truly refreshing, as your body will feel good when you wake up in the morning. Second, using good quality lavender essential oil. Some people love it, others less so. It has been shown time and again to help with relaxation and sleep though. And for centuries it has been used as a sleep aid. So having an aroma diffuser, with good quality, pure, natural lavender essential oil, can help you get even more relaxed. And thus get good deep sleep. Match these, and our other simple bedtime sleep tips, with the recommended relaxing sleep music, or the peaceful sleep meditation, and you will be set for a winning night’s sleep. Every night you choose to get deep sleep. 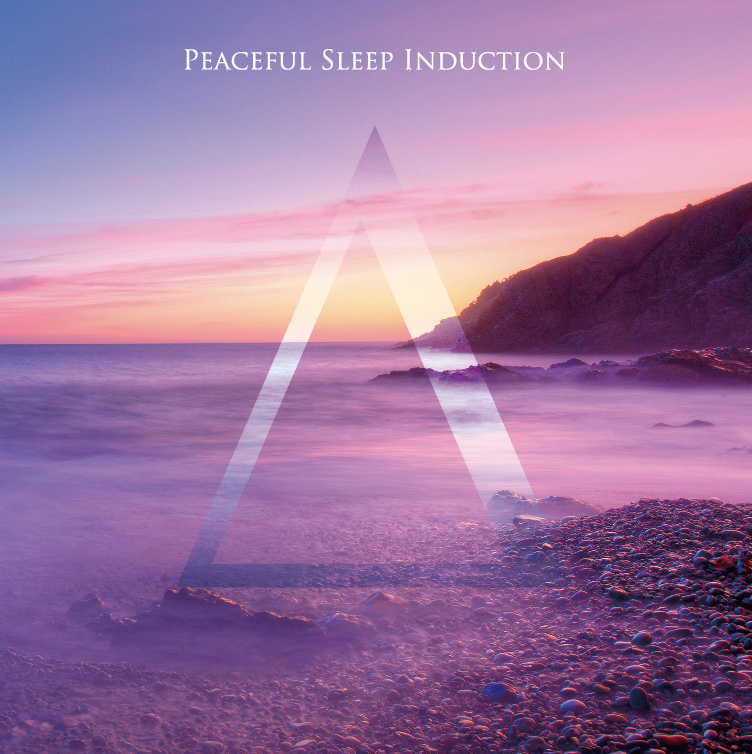 Whether you are listening to the soothing relaxation guided sleep meditation, or the beautiful “Peaceful Sleep Induction” sleep music. We recommend using good stereo speakers, and a music player with a sleep function. That way, after starting which track you choose to use for the night, the player and speakers will turn off automatically. So leaving your room truly peaceful for the best results. Other than that, check through the SurgingLife store at https://store.surginglife.com, and use the special CountingSheep.Net coupon code “CountingSheep” to get a 10% discount on whatever sleep music, sleep meditation, relaxing music, guided meditations or whatever you wish to enjoy. And enjoy the beautiful deep sleep that comes as a result of having taken action, and having the relaxing sleep music, or guided meditation, to help you fall asleep fast, and deep.